Enjoyment belongs to holidays like the mountains belong to Hinterglemm. That’s why it’s important to us that our guests at the ADLER RESORT enjoy their time. But we’re aware that everyone enjoys in their own personal way. Therefore, we want you to spend your time doing the things that YOU like! Sweating, taking a shower, swimming and then putting on the cuddly bathrobe and maybe taking a nap? For many people this means pure joy. At the ADLER RESORT you have the opportunity to come to rest as you relax in our in-house sauna and the steam bath. At home, you are used to going to the gym and you don’t want to live without your workout on vacation? So just use our crosstrainer, treadmill or weight machine! 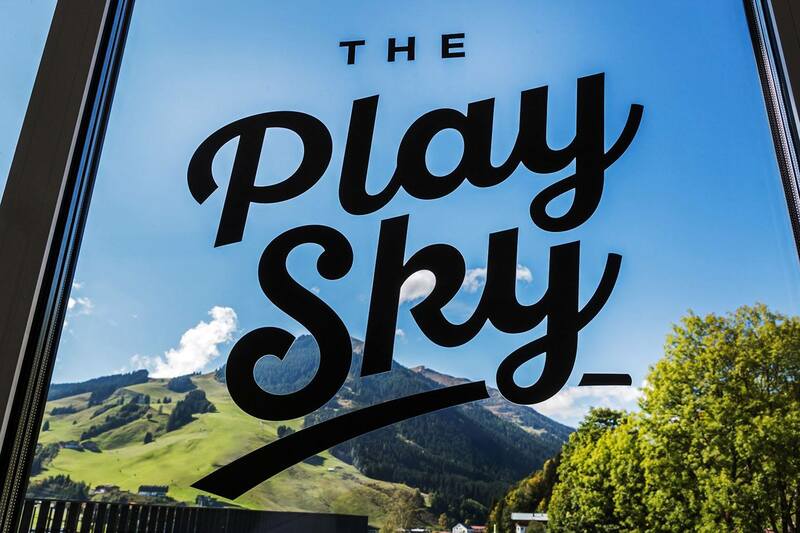 In our in-house gym you can train as much as you want while you listen to your favourite song and enjoy the amazing view over the beautiful mountains of Saalbach Hinterglemm. You'd like to relax your muscles after a day outside skiing or hiking? Or maybe you'd like to spend time with your children and have some water-fun. Our indoorpool will be great for that. 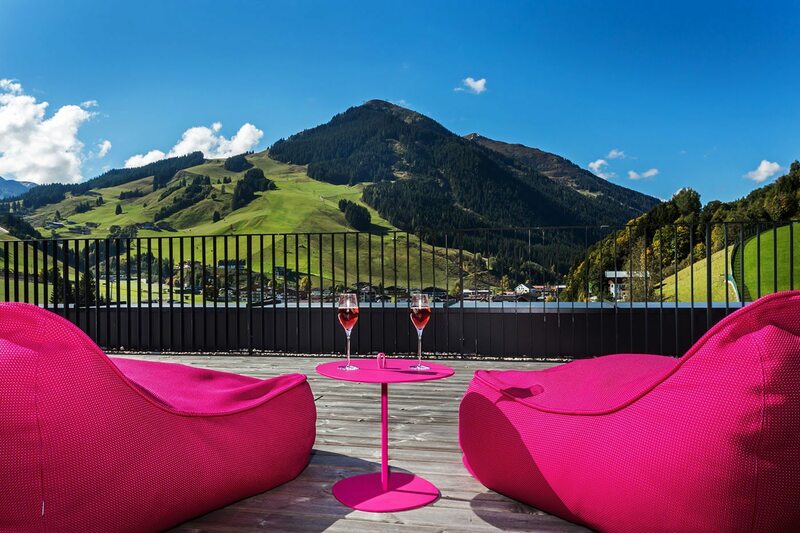 In the heated outdoorpool you can enjoy a great view over the Schattberg as well. Resting is important to you but for your kids it often means boredom. In order to avoid that, there are a lot of fun things for kids. It doesn’t matter which preferences your kids have: In the cinema, during our diversified fun program or in our big Kids-Area with a creative corner, a slide, a climbing wall and so many more - every wish comes true. Comfortable get-together, playing or just relaxing is often missing in our everyday-life. 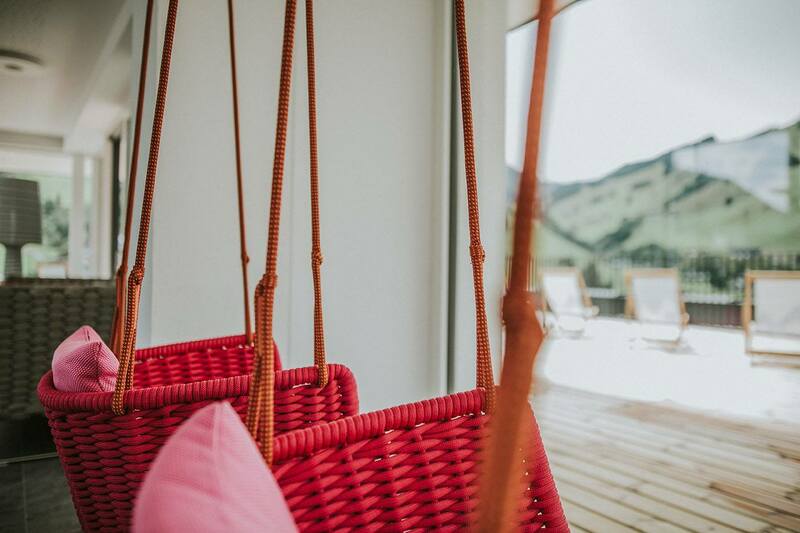 Numerous cushy sofas and swings invite to linger. with an amazing view over the mountains of Saalbach Hinterglemm. MOUNTAIN & FUN Enjoyment and holiday go together like Hinterglemm and the mountains. Each to their own!